When we get to the doctor, the majority of us take a somewhat passive role. We have to actively pick up the phone and dial the number, but that’s where it ends. From then, all we need to do is get ourselves to surgery, and sit while the doctor does their thing. Sound familiar? But you need to have an active role in your health! In truth, this was how doctors used to roll. They’re the ones who went to med school, after all. Now, more doctors are coming to realize the value of listening to their patients. In part, this is a matter of stretched resources. Listening to patient diagnosis can shave crucial time off appointments. This is also, in part, the best chance of ensuring you get on a care plan which suits your needs. By being active rather than passive during appointments, you can get exactly where you need to be. But, what if you’ve played the passive role for so long that you have no clue how to communicate with your doctor? Don’t fear; we have a few simple steps to start you off. Note, first, that you should speak out when you aren’t happy. Doctors often have to operate on trial and error. It may be, then, that they test a medication you don’t feel you need. Don’t be afraid to air your concerns. The chances are that this alone will help them towards a diagnosis. It also ensures you don’t take medications you’re uncomfortable with. Equally, anything which worsens your symptoms or makes you uncomfortable isn’t right. There may be extreme cases when these feelings come about as a result of negligence on your doctor’s part. In that case, your best bet would be to contact a lawyer like the ones found at https://www.thedicksonfirm.com/practice-areas/medical-malpractice/ and go from there. In most instances, though, talking your feelings through with your doctor will be enough to get treatment back on track. There’s mixed advice about whether it’s a good idea to Google symptoms. In the case of getting active in the doctor’s office, though, this isn’t a bad idea. The main thing to bear in mind is that you aren’t a professional. Google has a habit of putting us in the worst case scenario, and it’s rarely right. Still, searching your symptoms on sites like www.mayoclinic.org can help you to gather some ideas about what you think is wrong. You can then take that knowledge forward with you. Based on your research, make a few suggestions at your next appointment. Some doctors even ask their patients what they think they have. The reason being that, when you’re searching online, you won’t miss any symptoms off your list. This could be the way to a diagnosis your doctor couldn’t reach otherwise. At the very least, your suggestions can lead to further tests or altered treatments which can help to better manage your health in the long-term. All because you got active! 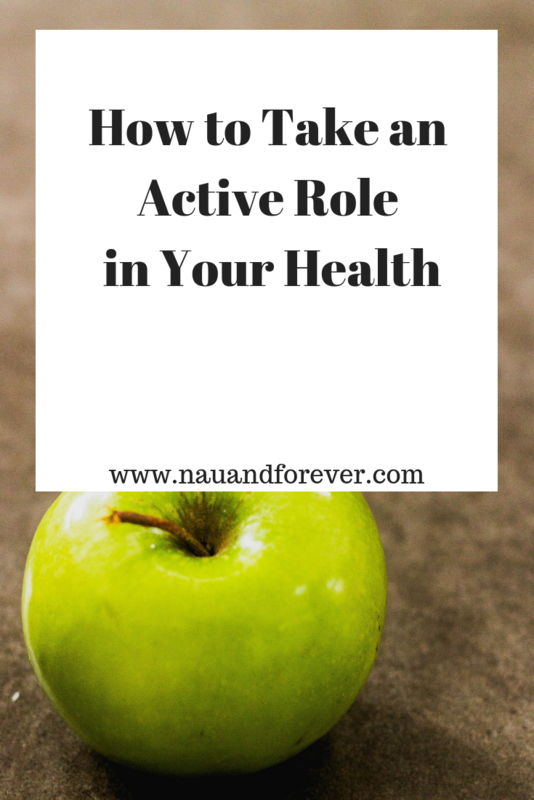 It’s so vital that you take an active role in your health. You are your best advocate. If you want more tips on living a healthy life, check out this post! How to Empower Yourself NOW! Is Your Weekend Routine Ruining Your Health?